While all those volumes of Where's Waldo books sit in a dusty cardboard box in your attic, the spirit of Waldo lives on in a remarkable bit of GIFage by Redditor Swiftapple. Waldo is alive and well. And bobbing. The simple joy of spotting Waldo's red-and-white cap in motion instantly brought me back to the days of those oversized hardcovers. 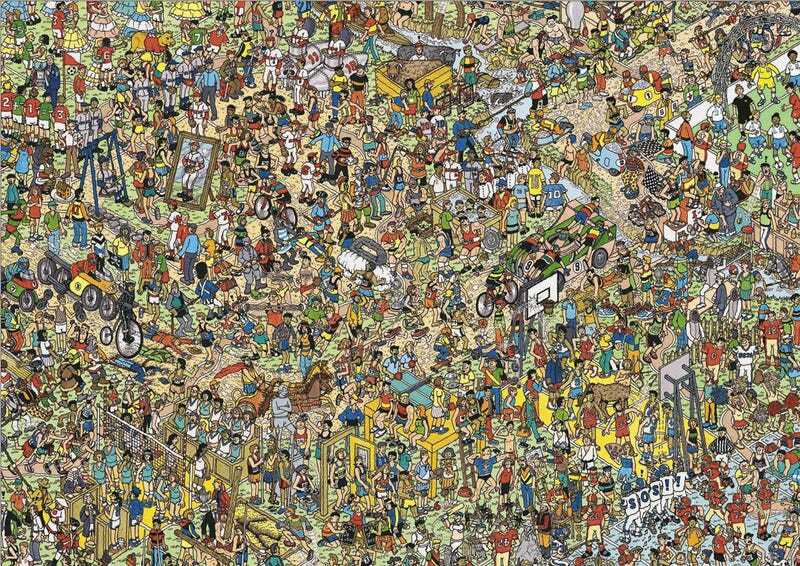 Perhaps this will foreshadow a new age of a digital Waldo. 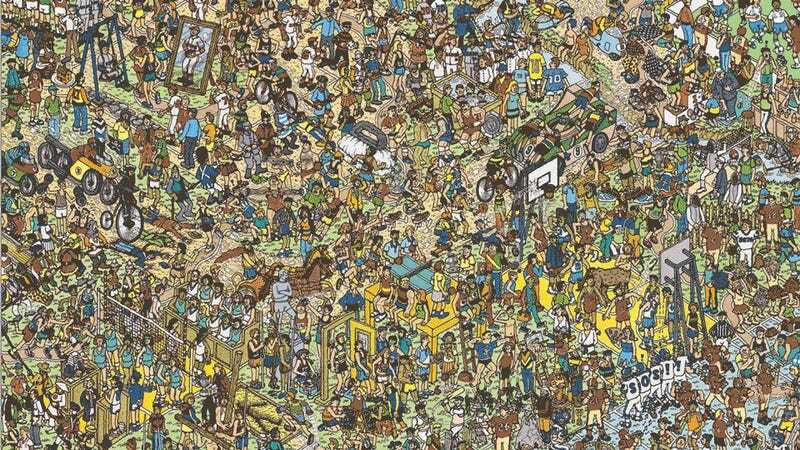 Just imagine every single person in a Waldo illustration moving and interacting. Utopia. Click for full-size animated GIF.